If you purchase 4 or more patterns from my Ravelry Shop at the same time (add them all to your cart before you check out), you automatically receive a 20% discount! This simple turtleneck, with just the right amount of detailing, is sure to become a wardrobe staple. Make it in a size with just a little ease for a neat fit, or select a size with lots of ease for a more slouchy, casual look. 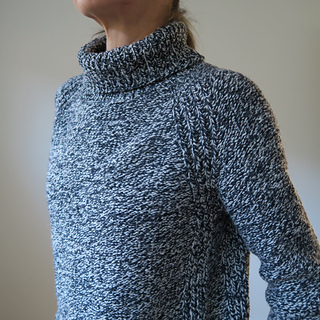 It is knit seamlessly from the top down, with the option of showing either the st st or the reverse st st side on the outside. 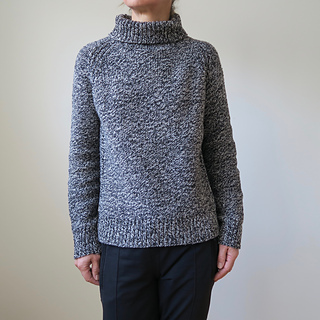 Either way, it is knit with the st st side as the right side, minimizing the need to purl. 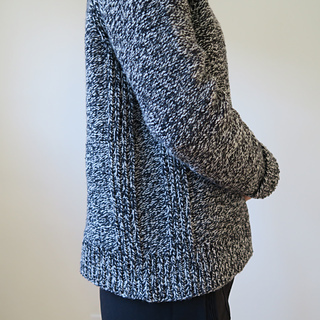 The raglans are highlighted with wide rib panels that continue down the sides of the body and flow seamlessly into the lower ribbing.